Hindustan Ambassador is one of the favourite vehicles in India. The iconic vehicle can be still seen on the roads and there are many good looking, well-maintained examples of the Ambassador. But this modified Ambassador is something that you have not ever come across before and it looks extremely beautiful. This Hindustan Ambassador has been beautifully restored and resto-modified by Ceramic Pro Calicut. 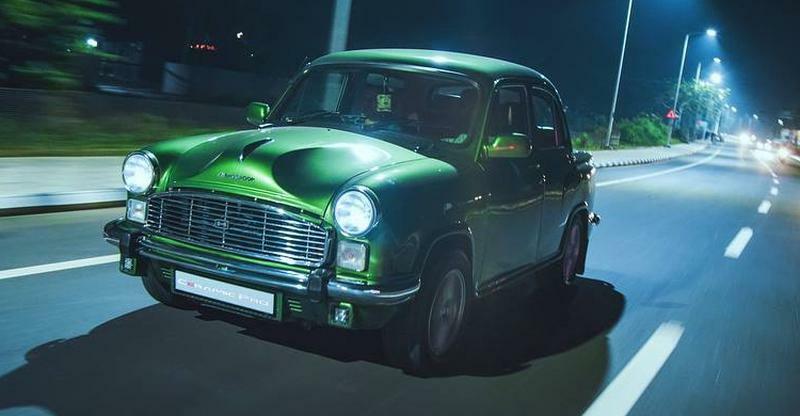 It is based on the Hindustan Ambassador Mark-II and is a 1969 model. 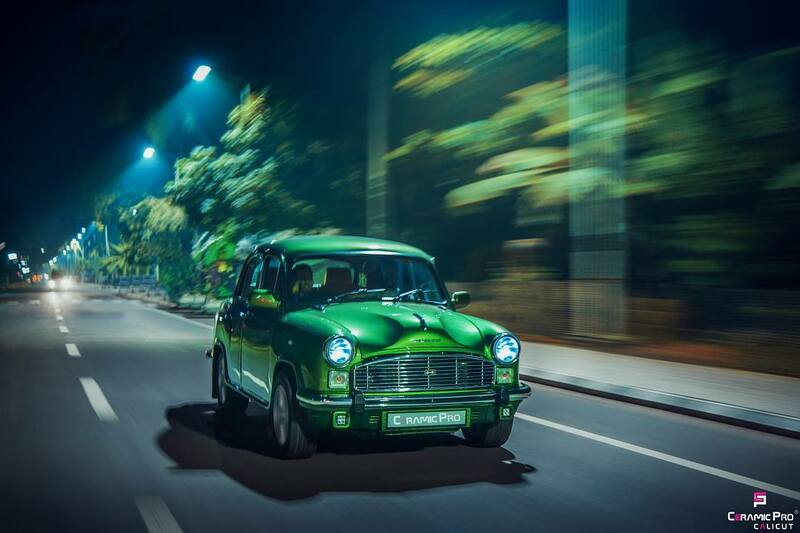 The first thing that catches the eye about this Ambassador is the beautiful bottle green colour of the vehicle. It gets a custom metallic paint-job that gives it an elegant look. 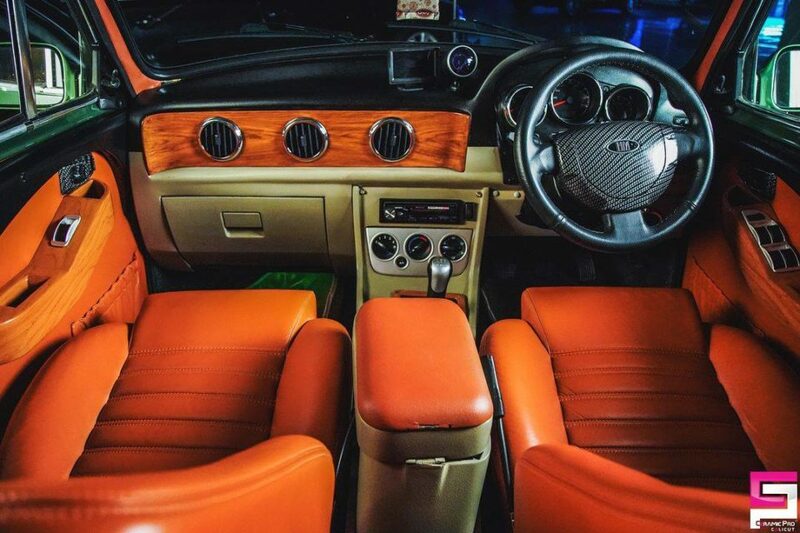 The attention to details is immaculate with this modified Ambassador. 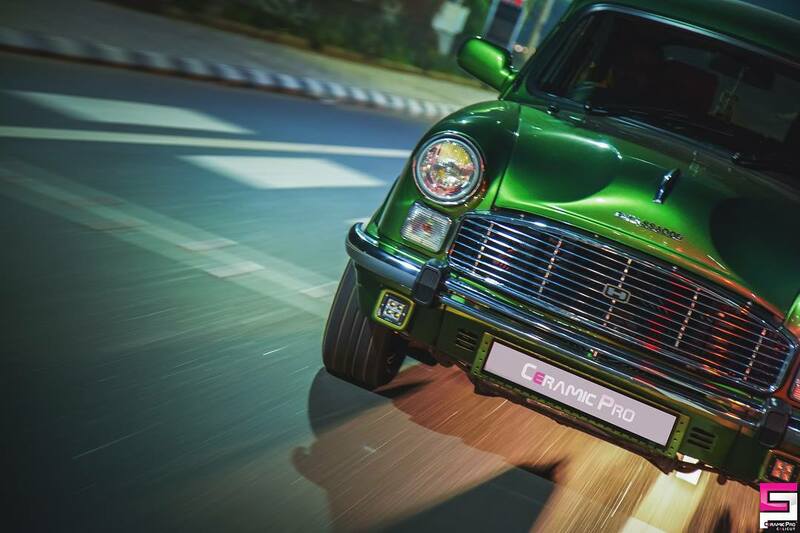 It gets clear lens indicators and a set of multi-spoke alloy wheels that keep the retro look alive. The ORVMs come from the Maruti Suzuki Esteem. At the rear, modified Ambassador gets clear-lens tail lamps and executive steering badges. The muffler top is chrome plated, adding a shiny and premium look to the vehicle. The exteriors have been kept almost original and there’s nothing much that has been changed in the vehicle. However, the beautiful paint job and a few additions here and there add a glorious look to the vehicle and it can just turn heads on the roads without doing much. Even the cabin of the Hindustan Ambassador gets new-age modifications. 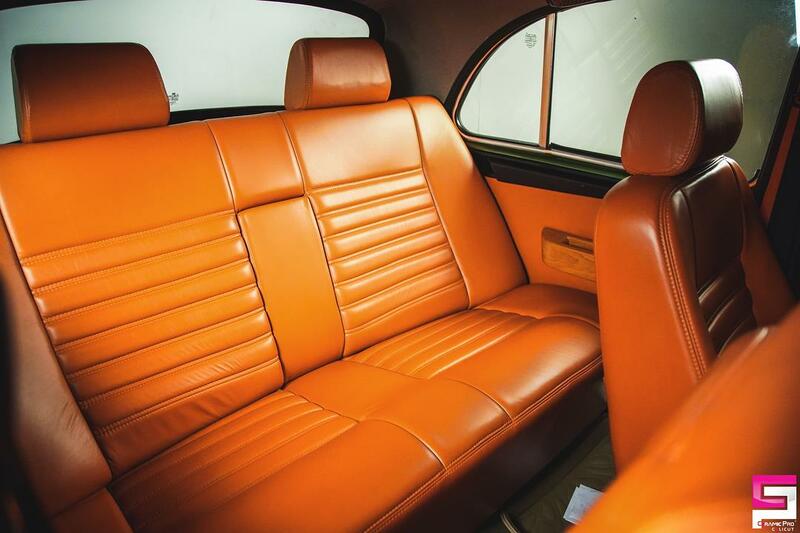 The seats are full-leather and the door and dashboard trims are made up of soft plastic. The dashboard has been modified with the new instrument cluster, ac vents and gauges. There is also faux wood inserts on the dashboard and a new gear lever. The steering wheel is also new and provides the vintage look with a modern feeling. Ambassador came with a bench seat in the front. Well, that has been replaced with new captain seats in the front. Other creature comforts have been added like electrically controlled powered windows, new rear seats with adjustable headrests and a new infotainment system. The 1.5-litre petrol engine of the Mark-II Ambassador made a maximum power of 46.5 Bhp and a peak torque of 91 Nm. It is not known if the engine remains untouched or modifications have been done to produce more power out of it.